We are expecting to see the first new Nokia Android smartphones at Mobile World Congress in February and now one of the devices has turned up on Geekbench. 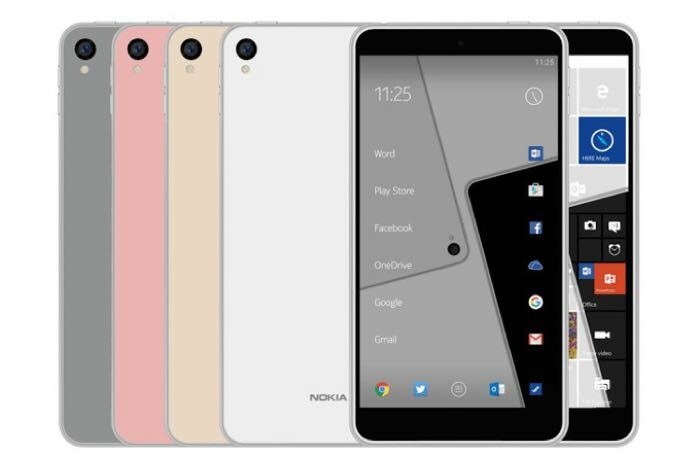 The handset is listed as the Nokia Pixel n Geekbench and it comes with android 7.0.1 Nougat, the handset is listed with a dual core Qualcomm processor and 1GB of RAM. 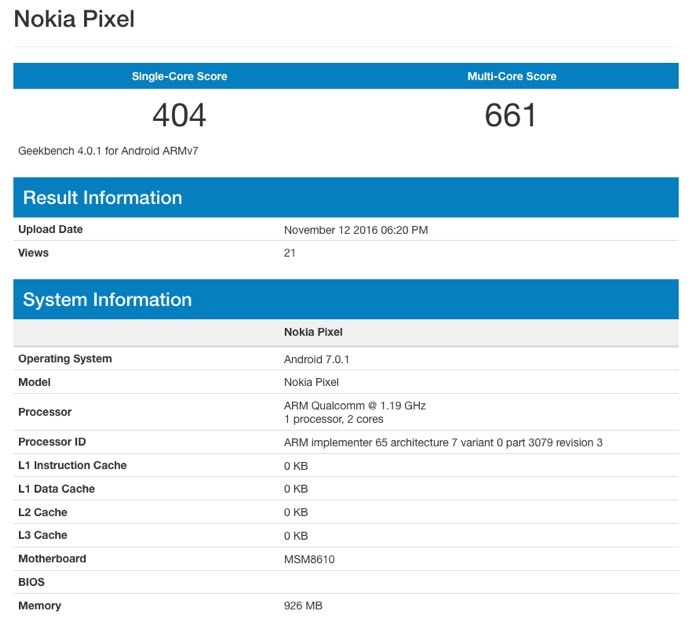 From the details on Geekbench it looks like this is an entry level Nokia Android Smartphone, we are also expecting to see some mid range devices as well. We will have more details about the new range of Nokia Android Smartphones closer to release and we are expecting them to go on sale some time in March or April, it will be interesting to see what Nokia comes up with.